The following is an excerpt of an article by reporter Megan Poinski on the FoodDIVE website highlighting the companies that promote their GM products and the many benefits of using them. While some food companies are reformulating ahead of the new labeling law, others are doubling down on their use of biologically engineered ingredients. Through the years that Okanagan Specialty Fruits worked on developing the Arctic apple — a fruit that is genetically modified so it doesn't brown —company president Neal Carter knew it may be controversial with consumers. Following the backlash against GMOs in the U.S, Carter told Food Dive the company decided to confront the controversy with transparency. As the apples were poised to hit store shelves last year, Okanagan prepared with a website spelling out the genetic modification for the apples and why. On the packaging, they included an 800-number for consumers to call for more information. And there’s a scannable QR code for the public to get more information. The experience of Arctic apples is not unique. While there is a lot of talk and controversy about consumers being anti-GMO, many food products actually use GMO ingredients. Brands that present themselves as pro-GMO told Food Dive that consumers embrace their products as they are — especially when they explain why they use GMOs and how they make their items better. The International Food Information Council Foundation did a study earlier this yearthat was intended to measure consumer sentiment about the different proposed on-package symbols for GMO — or biologically engineered (BE) foods. And while it showed consumers prefer more information on a package label, it also indicated about half of them at least somewhat avoid GMO foods because of human health concerns, Alexandra Lewin-Zwerdling, IFIC vice president of research and partnerships, told Food Dive. However, when asked what label claims they looked for in products, Lewin-Zwerdling said consumers ranked non-GMO before all natural and antibiotic free. “It seems like less of a priority,” she said. Carter and his wife have grown apples and cherries in British Columbia for years. Through the years, he noticed that 30% to 40% of their products went to waste and often didn’t make it to the marketplace. The apples were bruised. They were scuffed. And prices for apples overall were going down. There had to be a way to address this issue, he said. Looking at the wider array of research in agriculture, Carter said he found that scientists in Australia had identified the gene that caused apples to turn brown when they were cut. And considering how baby carrots transformed the vegetable into a popular snack, he had an idea: Grow apples with the browning gene disabled and sell them as a precut snack. While Carter said he was aware of the anti-GMO movement, which was already gaining steam in Europe when they started growing the GMO apples in the 1990s, he always thought it was something the Arctic apple would bypass. And while there have been some protests, Carter said it hasn’t been crazy. At one conference, there was a handful of people with tipped-over wheelbarrows full of apples and placards railing against Arctic apples, which drew a little bit of media. Carter said he’s gotten used to people turning to social media to organize petitions against the company. New ones tend to be organized against the company every couple of months, he said. “Anybody can start a petition against what you are doing,” he said. On the business side, Carter said reaction has been mixed, though he said there are other well-known GMO produce items — including Rainbow papayas, Simplot’s Innate potatoes and a virus-resistant summer squash — that have been in the market for years. Arctic apples first entered the mass market last year, but with a very small amount — 150,000 apples at about 100 stores for six to eight weeks. This year, consumers will find more of the GMO apples in stores — about 1.5 million pounds at about 1,000 stores for 20 to 24 weeks, in eight SKUs. Carter said they are planting more orchards and hoping the product will continue to ramp up year after year. The brand, which is now owned by biotechnology company Intrexon, also may expand the non-browning formula to other fruits. Carter said he knows they are a market disruptor — and pioneers through their vocal embrace of GMOs. CEO Bryan Crowley told Food Dive the company’s vocal support of GMO ingredients is relatively simple. The company was founded on a mission of sustainability and providing nutritious meals for everyone on the planet. Crowley said when the company started researching how to use science to make that possible, they came to the logical conclusion: using and embracing GMO ingredients. The blog post goes deep into the scientific, economic and environmental reasons to use GMO ingredients. It also reiterates that there have been no adverse health effects attributed to GMO crops. Crowley said those are the reasons the company supports GMOs — as well as the fact that these ingredients help Soylent produce its ingredients efficiently, cutting down on both cost to consumers and food waste. 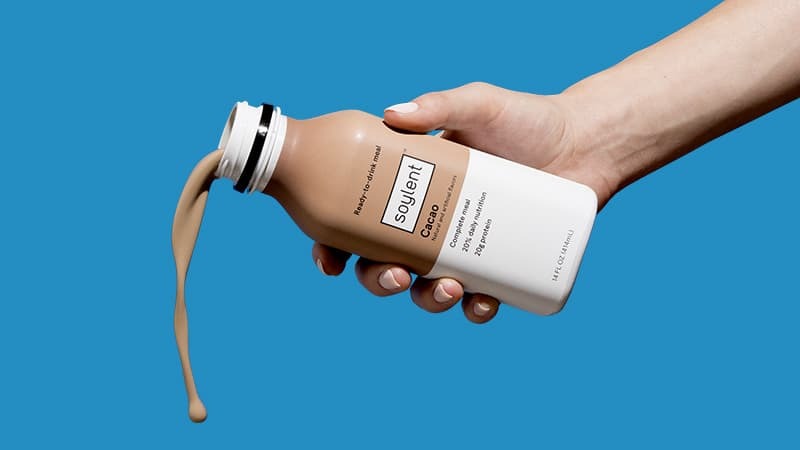 Soylent’s pro-GMO stance has likely done little to sway its consumers, Crowley said. The meal replacement’s fan base is passionate about its products. However, he said, the company has had great support from its suppliers and the industry as a whole. To read the entire article, please visit the FoodDIVE website.